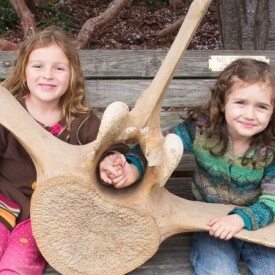 Thank you for your interest in our Help the Kelp campaign. 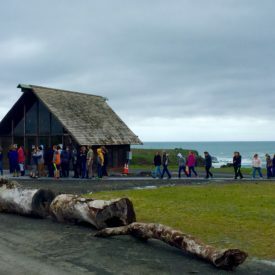 We are seeing such dramatic impacts to our nearshore coastal ecosystems, we all need to get involved. This page is meant to give you important information help you navigate the different ways you may work in collaboration with our removal efforts. Learn more about how we got here. The daily bag limit for purple sea urchin taken while skin or SCUBA diving in state waters off Mendocino and Sonoma Counties is twenty (20) gallons (that’s four 5-gallon buckets full). You can collect urchin through skin or SCUBA diving, but not by foot on shore. You can only take urchin, smashing should be avoided. Smashing at the wrong time may artificially spawn them, making the problem worse. There is no possession limit for purple sea urchin. Print your field guide here. Become a certified research diver through our partners at ReefCheck California (contact: Tristin McHugh; [email protected]) or another qualified organization. You and/or your dive club can join an organized dive effort through our partners at the Watermen’s Alliance. Contact Josh Russo to find out about the next dive ([email protected] or (707)333-9575). You’d like to organize your own dive event. Please contact the Watermen’s Alliance (see above) to discuss locations, process, etc. Also contact your local CDFW game wardens: Mendocino – Joel Hendricks ([email protected]); Sonoma – Jim Jones ([email protected]) to alert them to your efforts. Please report your effort on our Citizen Science webpage under the Citizen Kelp Project. You’d like to go out on your own but want to find out where you should target your efforts. 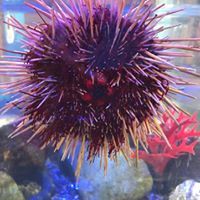 We are looking for folks to clear urchin around existing stands of young bull kelp. Contact the Noyo Center to find out where you can be most helpful. You want to collect urchin at your favorite spot. We encourage you to go get urchin when you can, but ask that you tell us where you worked. 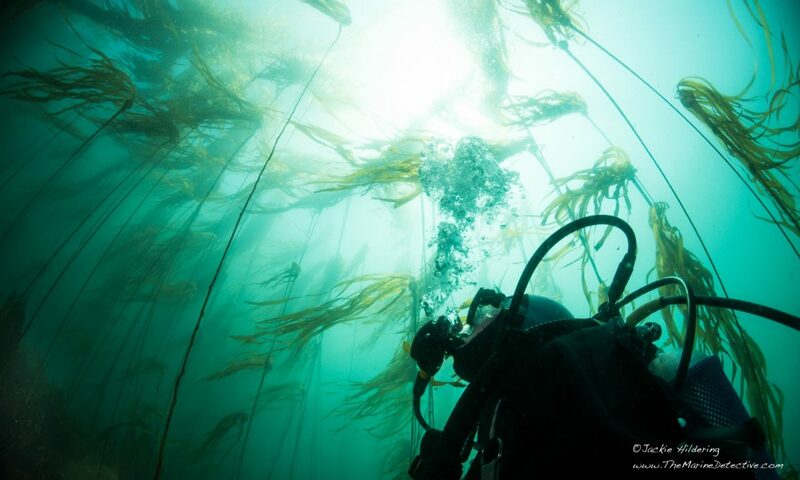 We are trying to determine if/when a natural recovery of kelp is in progress, so it is important to know where the environment has been manipulated. 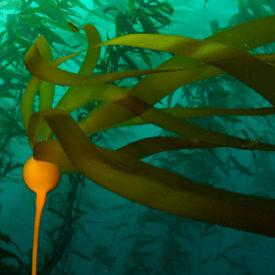 Please report your effort on our Citizen Science webpage under the Citizen Kelp Project. You can go there to see where our recreational divers are working too. If you’d rather send an email with your information, our partners at Surfrider have generously offered to input any information you send. Free fishing days (when no license is required) are July 7th and September 1st. Be sure to familiarize yourself with the regulations. Picking urchin off the rocks can be tricky. To avoid pokes, try using a spaghetti spoon or a 3-pronged hand rake. And always wear good gloves. We’ve also found a good collection bag. Remember that 20gallons can be heavy. You may not have much uni (or gonad) in your urchin but if you open them up, think about ways to incorporate what’s there into recipes like these. Please send us your favorites to post too.